CHICAGO – In the latest HollywoodChicago.com Hookup: Film, we have 50 pairs of advance-screening movie passes up for grabs to the new crime film “Gringo” starring David Oyelowo, Charlize Theron and Joel Edgerton! Tracy Morgan on the Red Carpet at the 2017 Tribeca Film Festival. 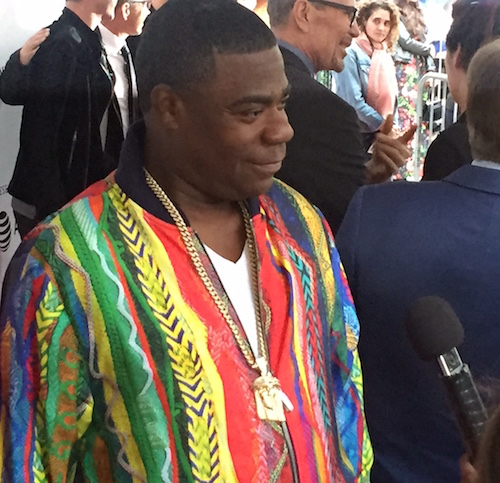 NEW YORK CITY – The Red Carpet is always a wild ride with the free-wheeling Tracy Morgan. He was at the 2017 Tribeca Film Festival representing his role in the new film “The Clapper,” starring Ed Helms and featuring Brenda Vaccaro, who also walked the carpet. Joining them were surprise guests Mark Cuban and the musician known as Sting.